Goodwill’s mission is to connect Kentucky job seekers with the resources and services they need to find and maintain long-term employment and a career path. We serve Kentuckians who have disabilities or experience other challenges finding success in the workforce, such as criminal backgrounds, language barriers, limited education, lack of transportation, and chronic poverty. For more information, contact 1-844-GWK-WORK (1-844-495-9675). 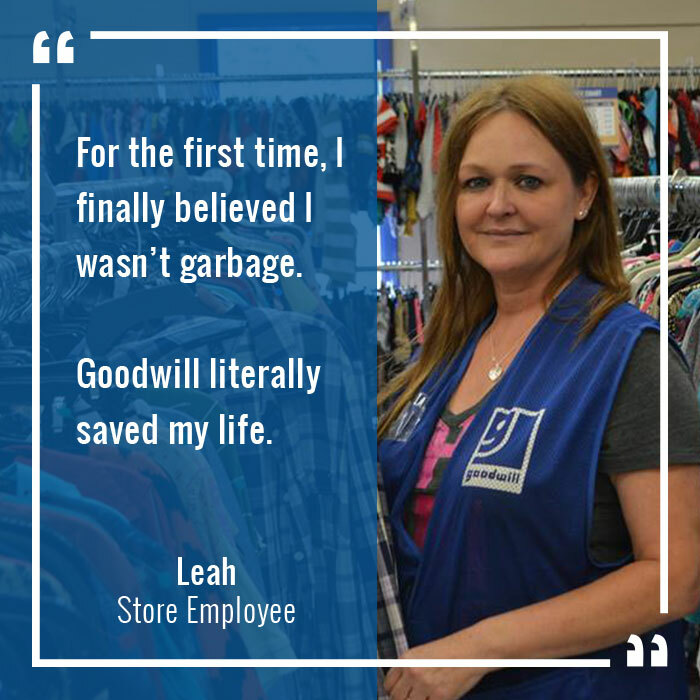 Goodwill is dedicated to helping motivated job seekers who need help getting a foot in the door with employers or who may need a second chance to participate in the workforce. Preparation and opportunity are the keys to success, and we offer a Work Ready Certificate to graduates of Goodwill’s Soft Skills Academy. Currently, participants study and practice six concepts that significantly impact the ability to find and maintain employment: attitude, conflict resolution, dependability, safety, self-presentation, and team building. Further, through partnerships with employers across the state – and by matching job seekers with long-term career coaches – Goodwill is connecting Kentuckians with meaningful opportunities to find a career path and climb the ladder out of poverty. A partnership between Goodwill Industries of Kentucky and United Way of Central Kentucky, Way to Work provides a network of services to break down barriers that interfere with long-term success. We address the multiple concerns and needs of our participants – who we call “members” – helping them overcome barriers that keep them from finding long-term employment and financial self-sufficiency. Want to learn more or know someone who could benefit from our program? Call us at (270) 506-4950, email our team at waytowork@goodwillky.org, or visit United Way of Central Kentucky‘s website. You can also view and download the Way to Work Flyer for Job Seekers. 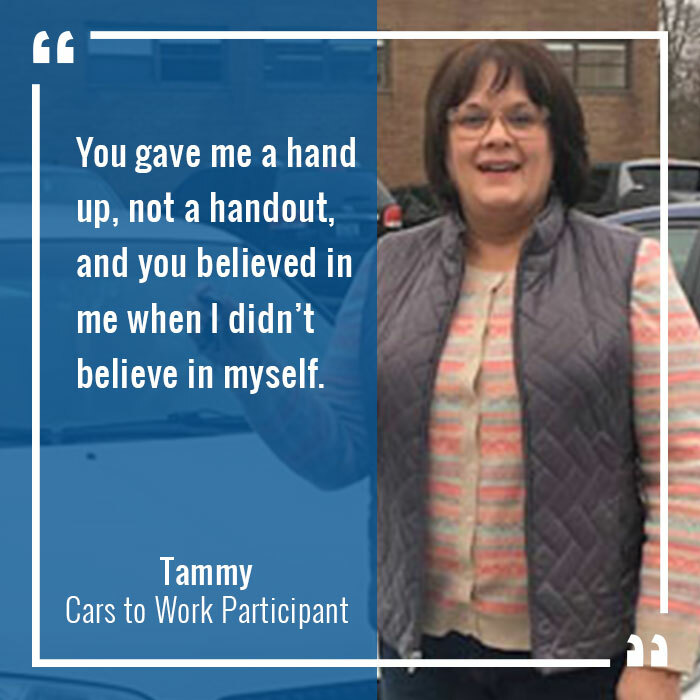 The KentuckianaWorks Power of Work program, operated by Goodwill Industries of Kentucky, matches Kentuckians transitioning off government assistance with employers who need eager, prepared employees. Participants receive job readiness training and help identifying their skills so they can smoothly transition into employment. Our career coaches offer one-on-one attention and support. 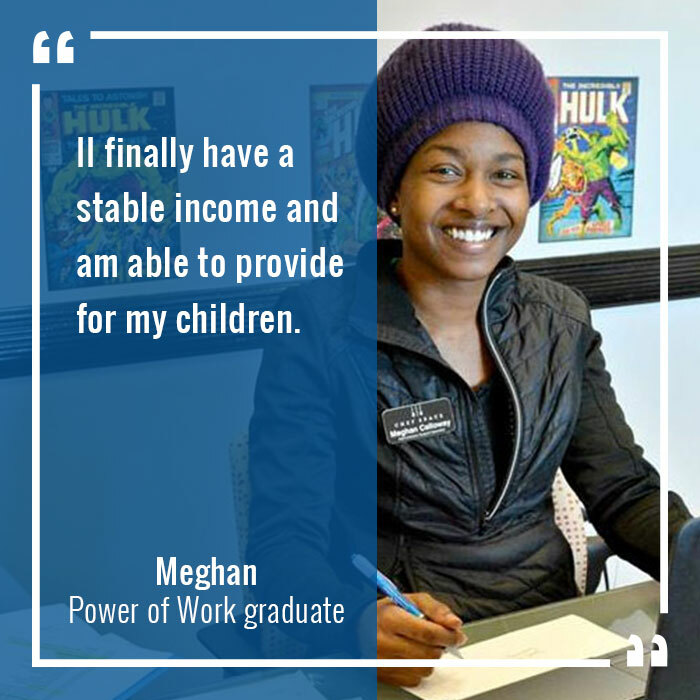 Check out a recent article about the Power of Work program! The Power of Work program is operated by Goodwill Industries of Kentucky, administered by KentuckianaWorks (Greater Louisville’s Workforce Development Board), and funding is provided by the Kentucky Cabinet for Health and Family Services. The Work Incentives Planning and Assistance (WIPA) program provides benefits counseling support to people who receive Supplemental Security Income (SSI) and Social Security Disability Insurance (SSDI). The counseling support is provided by Community Work Incentives Coordinators (CWICs) who have received approved training from the Social Security Administration and a certification through Virginia Commonwealth University. WIPA participants are paired with a CWIC who will help them understand how work will impact their income and healthcare benefits. They will also teach participants how to use work incentives to return to work to increase their financial self-sufficiency. Who is eligible for WIPA? Individualized short- and long-term benefits planning and management services so beneficiaries know what they need to report to the Social Security Administration when they work, including how to report wage and other information to the Social Security Administration, and how to access and use the Social Security Administration and other federal, state, and local work incentives programs. Referral to employment support services and troubleshooting benefits issues related to working and the return-to-work process. Presentations to beneficiaries, their supports, and providers about the Supplemental Security Income and Social Security Disability Insurance programs and work incentives. Outreach to beneficiaries and their supports about WIPA services and how to access us. WIPA provides beneficiaries and their supports with benefits analysis and work incentives information specific to their situation and employment goals. Participants will be asked to provide verification of current benefits, including type of cash benefit received, related healthcare coverage, and verification of other public benefits received (ie. food stamps, Section 8 Housing, or other rental assistance). Verification of benefits is critical to the services WIPA provides. We cannot give you and your supports accurate, individualized information without knowing what you receive, whether you’ve used work incentives in the past, and whether additional factors could impact work-related decisions as they relate to your benefits. KYCC serves youth who are interested in summer employment, year-round employment, or earning secondary school credentials. KYCC participants can take a job skills workshop and are deemed “certified work-ready” with the successful completion of a mock interview. Paid internships are available through KYCC and incentives can be earned by completing job and education goals. KYCC participants may also be eligible for supportive services for work or school up to $600. KYCC is headquartered in Shepherdsville (Bullitt County) with an additional office in Shelbyville (Shelby County). Walk-ins are accepted as well as referrals from public school systems, adult education programs, or other community partners and agencies. To receive services, participants must be eligible under the Workforce Innovation and Opportunity Act (WIOA). 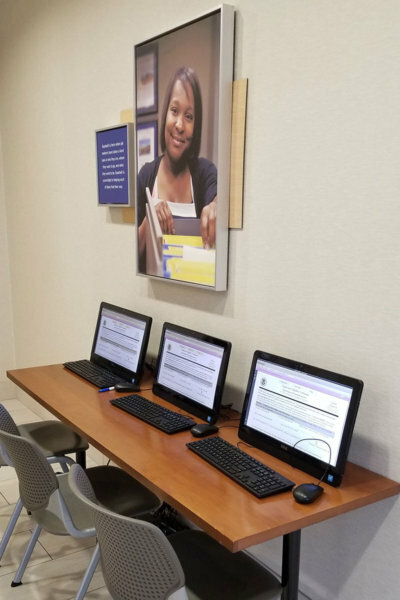 Funding for the Kentucky Youth Career Center is provided by the U.S. Department of Labor, through the Kentucky Education and Workforce Development Cabinet; administered by KentuckianaWorks (Greater Louisville’s Workforce Development Board), and operated by Goodwill Industries of Kentucky. The Senior Community Employment Service Program (SCSEP) is designed to link low-income, older workers to on-the-job training that can help them move into paid employment. 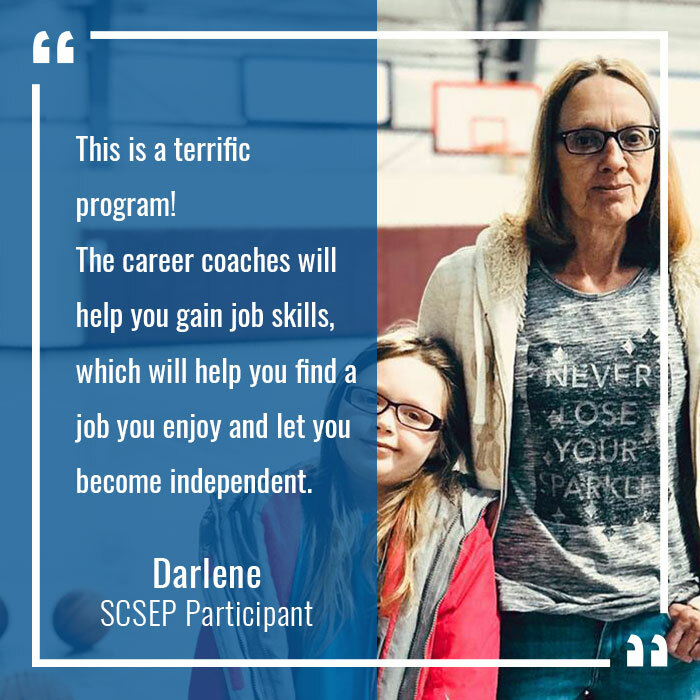 Through SCSEP, Goodwill matches eligible individuals age 55 and older with nonprofits or public agencies for on-the-job training in a professional work environment, paid by the SCSEP program. The program gives preference to seniors who have physical or mental disabilities, are veterans or spouses of veterans, or who need job training. Goodwill® proudly participates in the Senior Community Service Employment Program (SCSEP), a national employment and training program funded by the U.S. Department of Labor. A $20,971,372 million grant from the U.S. Department of Labor provided 90 percent of the funding for Goodwill’s SCSEP programs in the program year 2018. Goodwills provided the remaining 10 percent through in-kind contributions worth $2,330,152.44. Louisville, KY – Goodwill Industries of Kentucky, Inc. received a subaward of $2,259,414 and is contributing in-kind contributions valued at $261,899.65 to cover the remaining 10 percent of operational cost. Goodwill® proudly participates in the Senior Community Service Employment Program (SCSEP), a national employment and training program funded by the U.S. Department of Labor. A $20,900,623 million grant from the U.S. Department of Labor provided 90 percent of the funding for Goodwill’s SCSEP programs in the program year 2017. Goodwill provided the remaining 10 percent through in-kind contributions worth $2,322,291. Through a national Department of Labor (DOL) grant, Goodwill organizations across the country help ensure that more than 100,000 low-income workers over age 55 are aided by the SCSEP program annually. 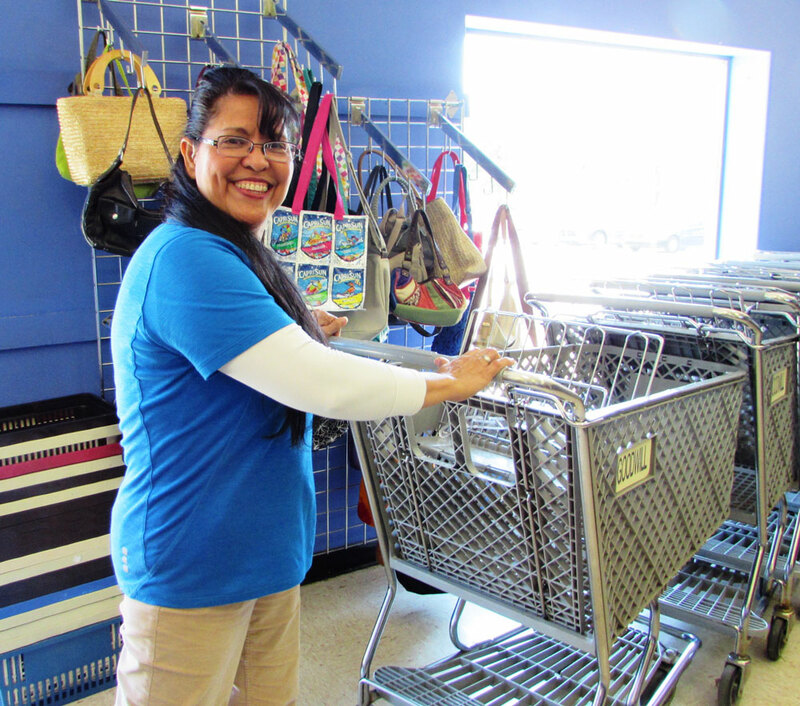 Founded in 2012, Goodwill Cars to Work is a program of Goodwill Industries of Kentucky. It aims to match affordable transportation with working Kentuckians who either have a disability or experience other barriers toward finding and keeping a job. For more information about the program or to donate a vehicle, visit www.goodwillkycarstowork.org. For more information about Goodwill’s janitorial services or employment opportunities, call (502) 585-5221. Goodwill implemented career coaching in the 1990s as a service for Goodwill employees who need a little extra support. Services include job coaching, soft skills training, assistance in being successful on the job, accommodations for disabilities, career planning, help with job search, and assistance in growing in their career. Together, an employee and his/her career coach develop a plan for improving on the job and addressing any issues or behaviors that could affect work performance and or reaching goals. Any Goodwill employee can enlist the help of a career coach, including assistance with tuition reimbursement, criminal charge expungement, benefits and financial counseling, crisis management, health and wellness, referral to other community resources, and much more. In accordance with our mission, Goodwill places an emphasis on hiring people with disabilities or other challenges. Our goal is not only to place people into jobs but also ensure that employees have the resources and support to keep their job—ultimately gaining a better quality of life. 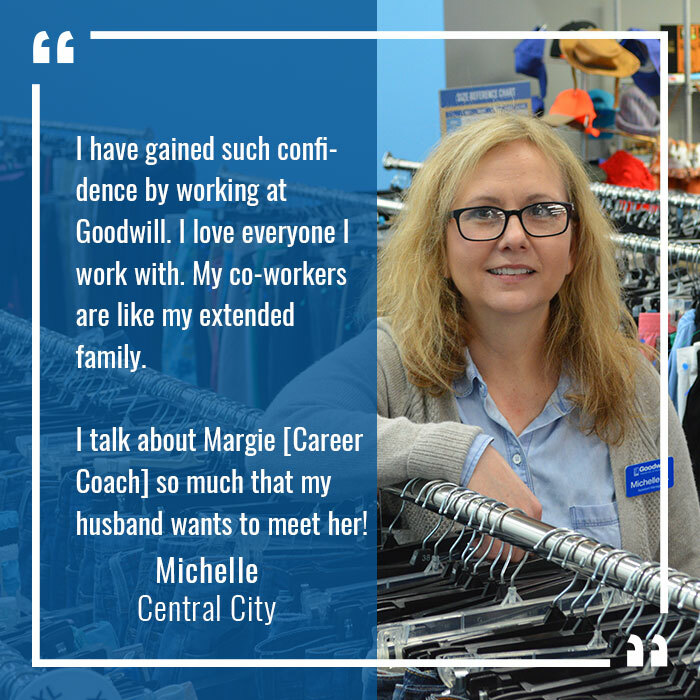 Every Goodwill employee has the opportunity to be paired with a career coach who can assist them in being successful on the job and in their personal lives.